NBA playoffs bring James Harden and Russell Westbrook face to face. Oklahoma City Thunder point guard Russell Westbrook has been fined $15,000 for using inappropriate language during a postgame interview, the NBA announced Friday. Westbrook used a profanity when asked about his 51-point, 10-rebound, 13-assist line after the Thunder's Game 2 loss to the Houston Rocketson Wednesday. 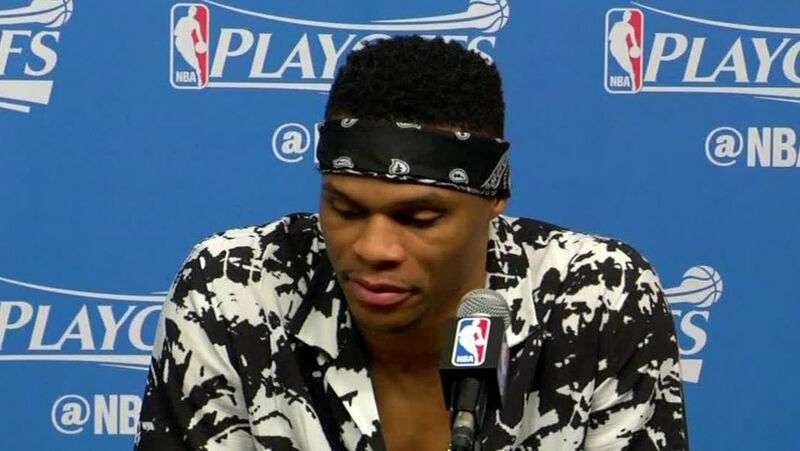 "I don't give a f--- about my line," Westbrook said postgame. "We lost." Westbrook made the comment during a news conference that was televised live by multiple outlets. 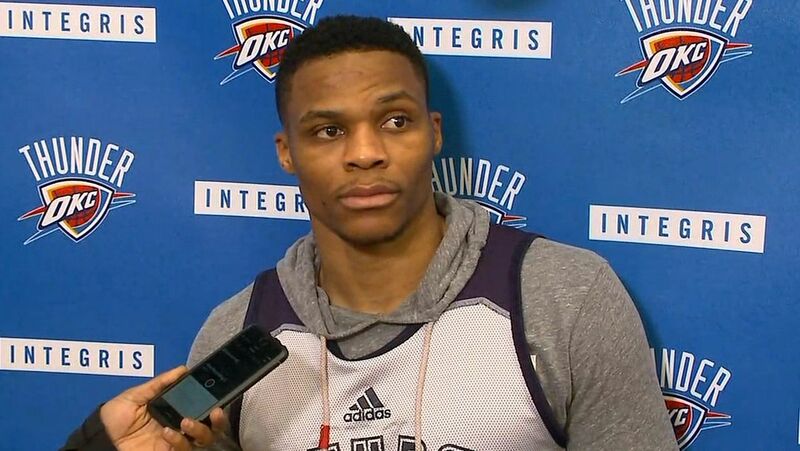 When asked about the fine after he had received it, Westbrook said, "I guess if you cuss, you get fined. So as soon as somebody else cuss, make sure when they cuss in the media, I hope they get fined, too." Westbrook is known for frequently being blunt in his replies to interview questions, occasionally using profanity. This is the first time the league has fined him for using inappropriate language in an interview. Westbrook was fined $25,000 during last season's first-round series against the Dallas Mavericks for cursing at fan who was heckling him. Russell Westbrook addresses his $15,000 fine for using inappropriate language during a postgame interview. Russell Westbrook throws out expletives when asked about his epic performance with the Thunder now in a 2-0 hole.